Hello. 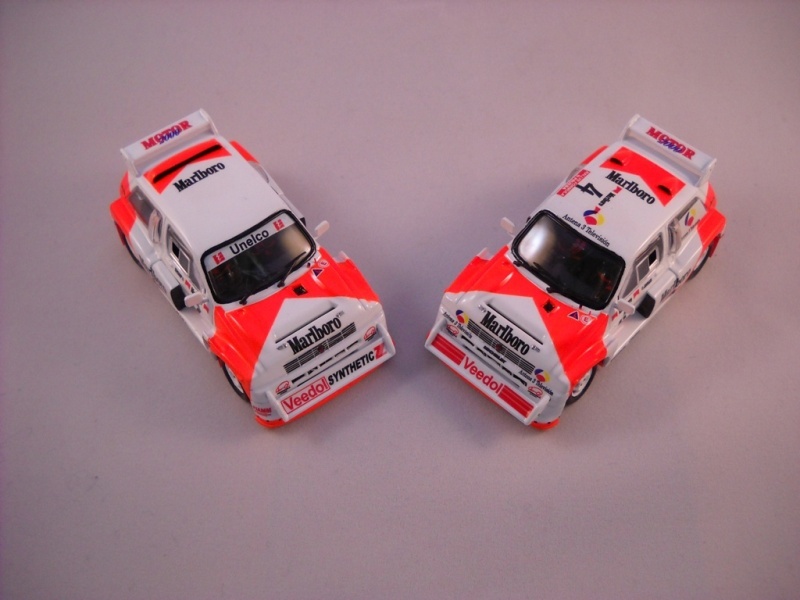 I just finish this 2 Marlboro MG Metros . They are going to the Canárias Island to the driver and co driver. The air intake on the roof has 2 versions. They are made with small piece of brass. 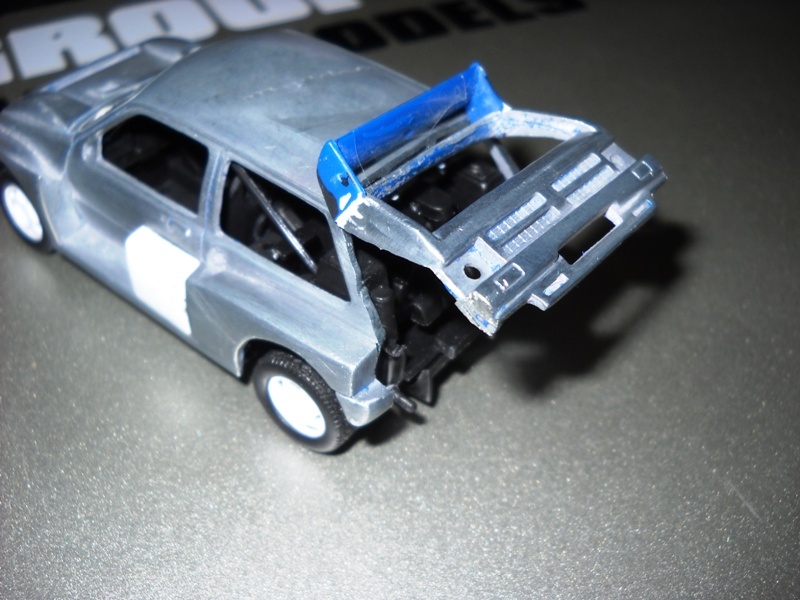 The Lancia Delta S4, from Bruno Saby , rallycross 1989, have another version , with the long wing . 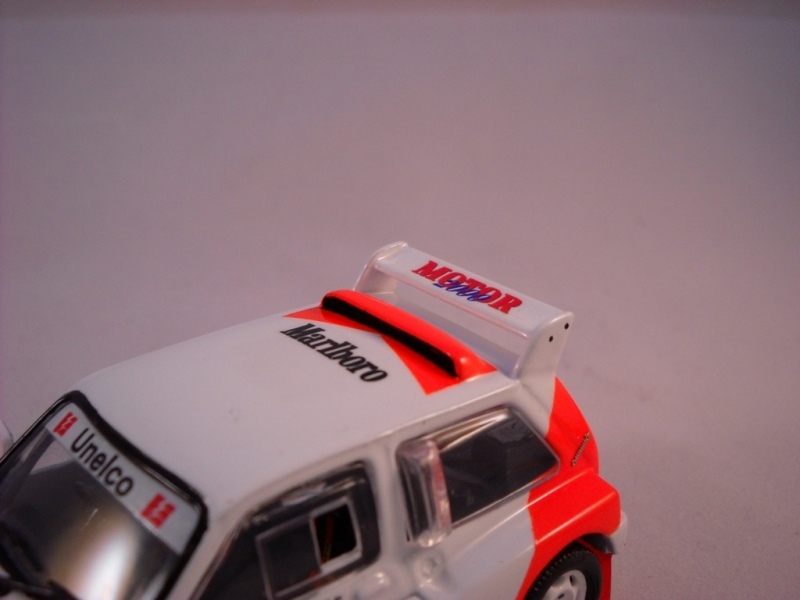 The Per Eklund rallycross METRO 6R4, from 1990 European Rallycross, is nearly ready. I just need to add the small details. 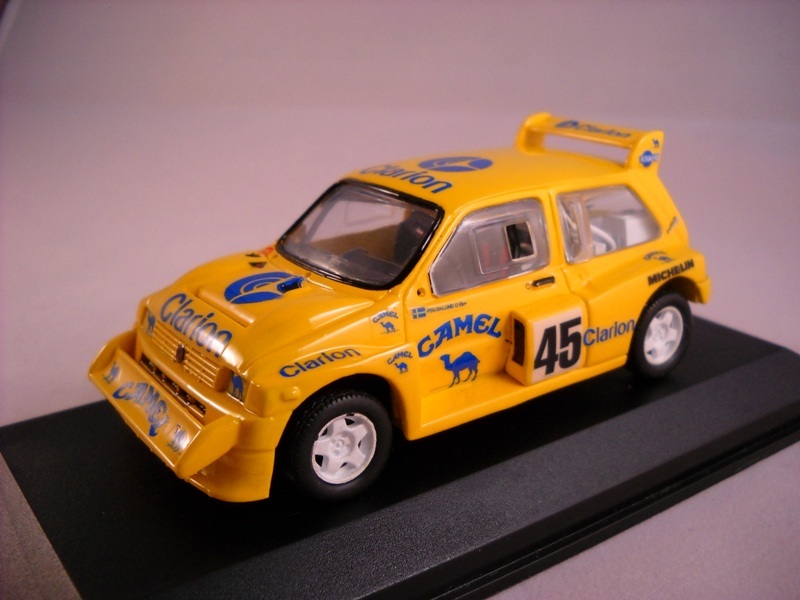 This is a nice Camel / Clarion sponsor car, much simpler to build compare to the Capvilla model. I will have these decals available in a week. The last ongoing project is this open MG. It took me 5 blades for saws to separate the back panel of this IXO model. I will make a resin copy of the back door, work it and remake it. I will glue it to the model open. I have to find a way to complete the engine and exhaust pipes. Any comments are welcome since I never saw this car live so some details may slip away. Beautiful models Vitor. Can't wait to see the open 6R4 completed. top class on the rear boot work vitor! Great work as always Vitor. Loving the S4. Do you have these available as a built model? Fabulous Vitor... It just gets better ! I don't know how, but you've done it again! Congratulations, fantastic work. You can put me down for an Eklund car or decals, whichever works better for you! I would love to know more about the roof vents on the Marlboro cars. What did you start off with and how did you shape the brass to get the right effect? I have decals to do one of the models but won't start it until I have a good idea about the roof details. Also, as someone who doesn't have an airgun, can anyone advise me as to the right red/orange colour rattle can paint to use? Let`s see if i can help you. 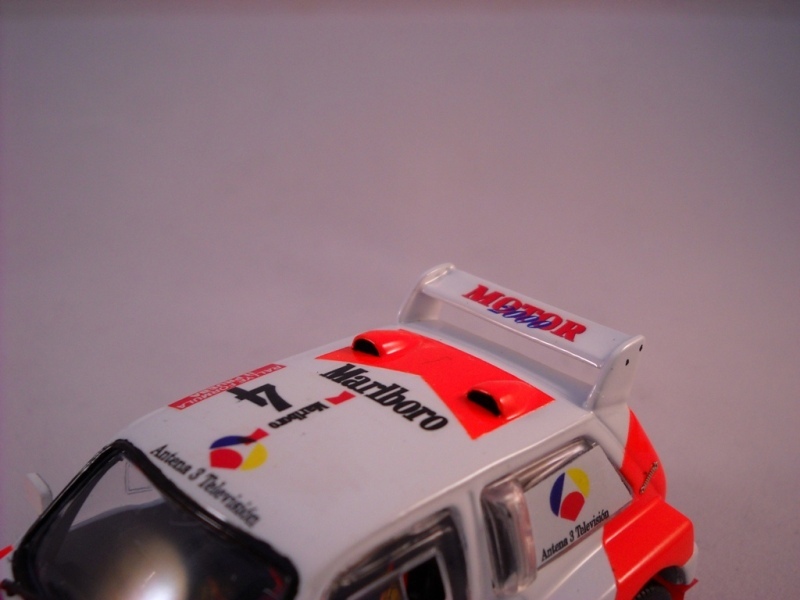 The M… tobacco color can be obtain with the Tamiya spray TS 36 Fluorescent Red. The air intake, try this: bend a rectangle piece of brass or styrene plastic, or any ordinary plastic from a box. With plastic you can bend it with a hair heat gun and a pencil. After that, fill the back opening with car body filler. Let it dry and sand the back part to round it to desire shape. Apply to the model, when this is with the primer or white coat. Mask the model and spray the florescent red. Apply a clear coat and apply the decals. Optional, you can seal the decals with another clear coat, or just leave it like that. I will take pictures of the process next time I have the opportunity. Thanks very much for the advice, guys. I'll get myself the paint and then try with some plastic, a pencil and a hair dryer to see what I come up with. Possibly a very small pencil case.. but well see! I've got some ultra fine white modelling putty (can't remember the brand) which I've used on several of my models already, so will probably use that instead of car filler or Milliput superfine, though I'll keep an eye out for this. To date, I haven't used clear coat on my models. I've tended to apply the windows once I've finished painting and apply the decals last of all. Clearly, I've got that wrong!! I presume normal car clear coat spray is the stuff to use? Or is there finer clear coat for model makers? More advice, please?? Good stuff, Vitor. And good advice as well! 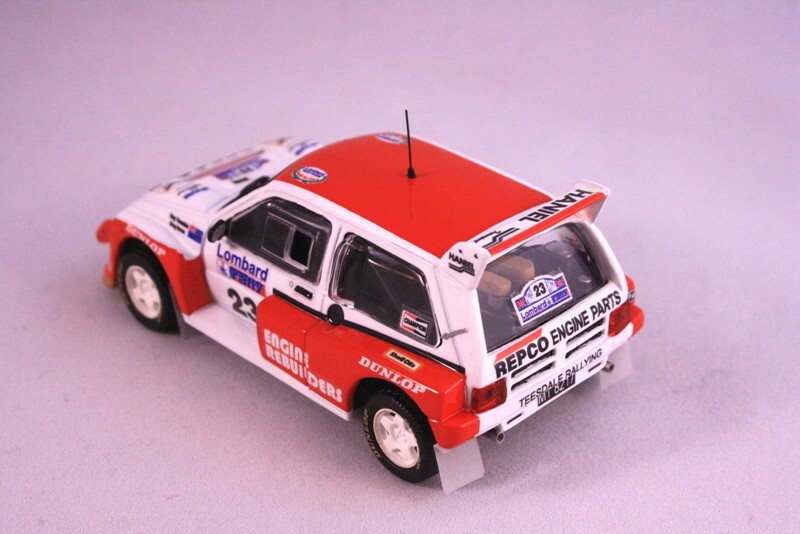 New Model: Mg Metro 6R4 Tony Teesdale, Rac rally 1986. 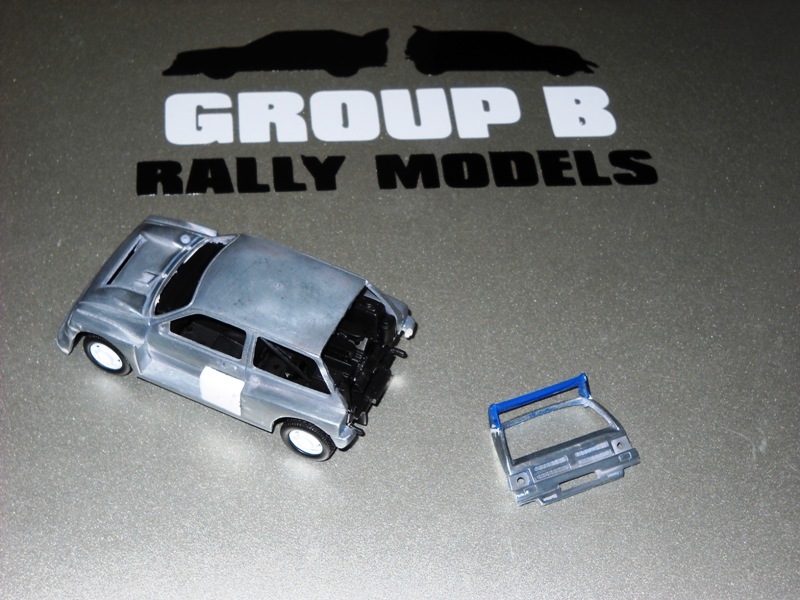 Build with Group B models decals. Once again, masking is the time consuming part. What are the door mirrors that you use? Do you make them yourself? Will order the Capdevilla decals at the same time if thats ok? That Teesdale RAC car looks excellent Vitor. Can you tell me what colour you used for the red please? I'd like it to match my New Zealand model when finished. Thank you. Love the Eklund Camel car as well. 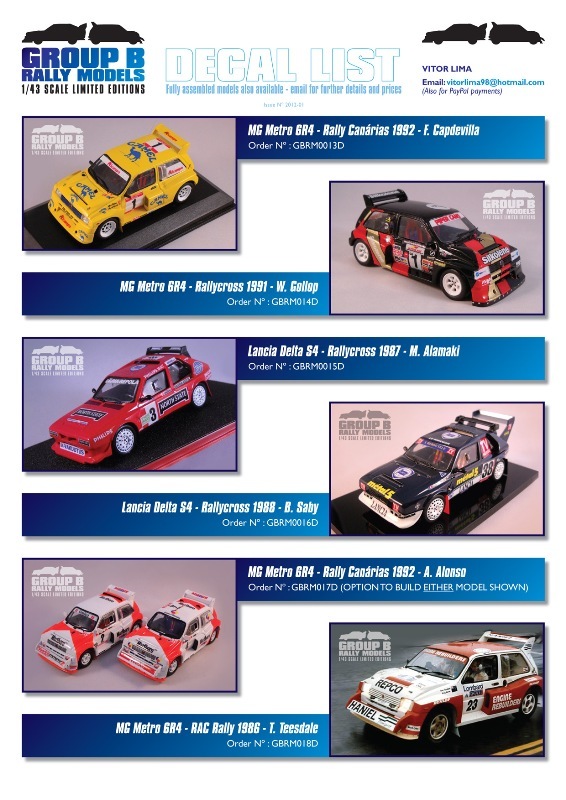 Vitor also sells the special wheels for the Capdevila car as well Nicky - make sure you add them to your order. David, the color used was taken from a Ferrari 323 catalog (sometimes I use cars paints and chose them from a PPG catalog). The Ecklund decals are ready, I just need to finish the first model that will be the reference in the decals display. I will have them ready next 5th April. 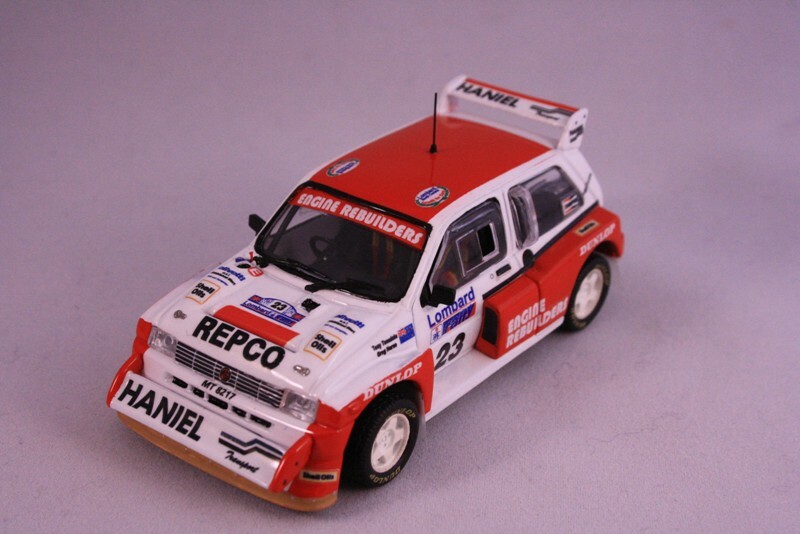 Also the Peugeot t16 Matti Alamaki 1989, will be concluded soon. The resin whells for the Capvila Metro can be obtained, so the model can be more accurate. Thank you Vitor. I'm not ready for it yet, but could you tell me the exact PPG paint colour or paint code you used for the Teesdale red please? It's not that urgent as I'm not planning to build the RAC car just yet.